This issue zips along with several story lines weaving in and out through the twenty or so pages. Foggy and Matt Murdock clash, with Foggy finally losing patience with the complexities of Murdock / Daredevil. The Owl, sprung from a prison transportation truck, makes deals that aim to get him back to the top of the pile in ‘his’ city. His final meeting is a stunning set piece, with a neat twist at the end of the issue. Kingpin, meanwhile, is struggling with his mental health, plagued by voices of his dead wife, Vanessa. Murdock is haunted by the loss of Dakota. Daredevil is accepting of the deal he has made with his nemesis (i.e. the Kingpin), knowing that it could prove fatal for him. His desire to take down Lady Bullseye and The Hand is all encompassing. He is truly ‘blinded’ by his desire to destroy them. This can only end badly, there is a real inevitability about it, with new alliances being forged that are set against the Daredevil / Kingpin team up. There is even room for a little humour – a great line delivered by Master Izo after a brief meeting with Daredevil. I will not spoil it – it is worth savouring when you get to it. 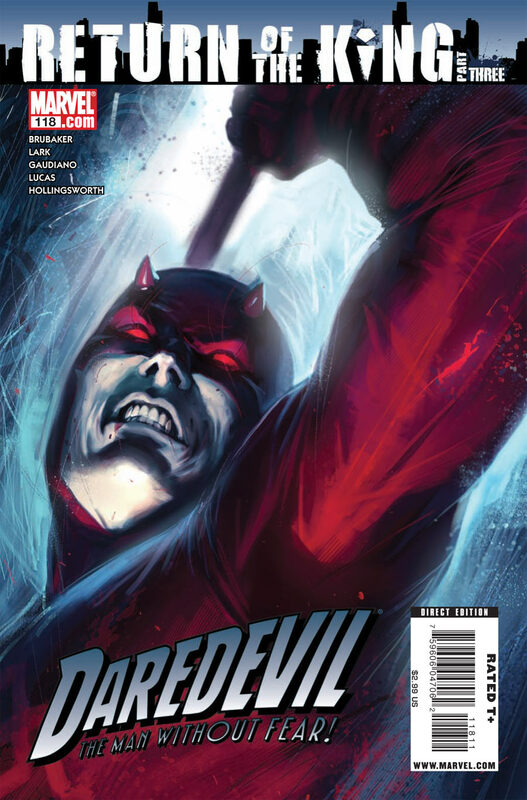 The ‘Return of the King’ arc has not run out of steam by a long way, and although the confrontation between Daredevil and Kingpin, The Hand and Lady Bullseye is still at least an issue away, #118 is effective because it puts all the players of this drama into position, ready for the denouement. 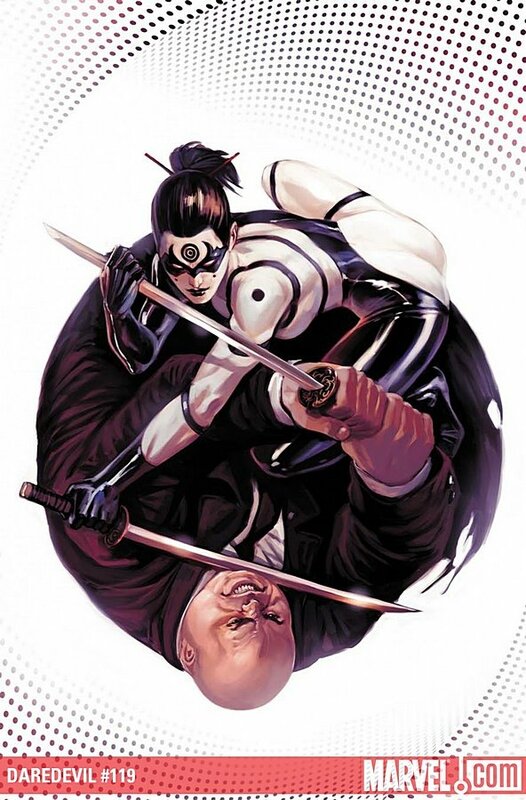 By introducing The Owl, an appearance from Lady Bullseye and The Hand, and that killer line from Master Izo, the Daredevil creative team of Brubaker, Lark, Lucas and Gaudiano have produced another absorbing and exciting installment. With Andy Diggle taking over the writing duties from Brubaker soon, ‘Return of the King’ is a fine way for this great writer to depart a title he has truly put his mark on. With 2 more installments to go, ‘Return of the King’ will not disappoint.